Advice to whiskey snobs: If it’s St. Patrick’s Day and you’re in a bar (and what are the chances of that?) don’t turn down an Irish whiskey on the premise there isn’t much choice. First of all, you’d be missing out on a rapidly expanding category that recalls a time when the island nation could claim to make the world’s preeminent whiskey. Second, it could get you cold-cocked. Better just to go with the flow and enjoy one of the many excellent drams that are the gift of the rebirth of Irish whiskey. If you think of Irish as a supremely smooth blend meant to bolster a mug of coffee, you’re only partially right. The Emerald Island has a spirits heritage that stretches back a millennium and a half (depending on whom you ask) and includes quite a flavor panorama, with many whiskeys better suited to sipping neat or with a rock than poured into coffee. The whims of history have not always been kind to the whiskey culture in Ireland, and there are a number of myths about the spirit: that Irish whiskey is all triple-distilled, unpeated and blended. Let us set the record straight. Whiskey has been made in Ireland for at least 400 years, and perhaps more than 1,000. Based on a written record from 1495, the Scots claim that their whisky predates Irish, but reason suggests that may not be the case. Distillation equipment (for perfume) could be found in Ireland as early as 600 A.D., back when a mere 200 million people walked the Earth, so it tries the imagination to think that the Irish neglected to make whiskey with it for nine centuries. By the end of the 18th century a couple thousand stills existed in Ireland. Many were tiny, cottage affairs. Unlike much of today’s Irish whiskey, back in those days the spirit was quite smoky, and made with plenty of peat, both to dry barley or fuel the stills, as peat was so widely available on an island known for its bogs. When Dublin became the distilling capital of the 18th century, coal edged out peat as a fuel source, taking away some of the smoky qualities of many Irish whiskies. Today Connemara, from the Cooley distillery, has revived the art of making peated whiskey on the Emerald Isle, offering a smoky taste of Ireland’s past. A 1785 tax on barley can be credited with giving Irish whiskey some of its distinctive, modern-day flavor. The tariff was more onerous on malted barley than unmalted, so distillers in search of a tax deduction mixed in a portion of unsprouted barley with their usual malt. The serendipity of the dodge was that the addition of green barley gave the whiskey a spicier, fruitier taste, a flavor now so closely associated with whiskey from Ireland. Irish whiskey made solely from malted barley virtually disappeared. Distilling in Ireland was originally done exclusively in pot stills, so the blended whiskey that Ireland is now associated with had yet to exist. The use of a more efficient (and profitable) column still to make some of the whiskey in a vatting is what constitutes blending. Aeneas Coffey, an Irishman himself, patented this continuous method of distilling in 1830, but the island did not fully embrace column still grain whiskey until the 20th century. Irish whiskey fell into slow decline 100 years ago. The island’s separatist movement had been clashing with Great Britain for a half century before Ireland was granted independence in 1921. A British trade embargo, which had already been instituted in 1919, meant that Irish distillers (with the exception of Northern Ireland producers, like Bushmills) could no longer distribute to the United Kingdom and its considerable territories worldwide. The trouble was whipsawed by the introduction of Prohibition in the United States, a lively market with no shortage of Irish immigrants. Canada, a convenient neighbor, flooded the U.S. with well-made contraband that would supersede Irish on the American palate. A cap on exports by Ireland’s new government meant that when Prohibition ended in 1933, Ireland was ill prepared to recapture the American market. If those weren’t problems enough, the Second World War severely cut grain supplies. The industry’s reaction to the slowdown was to consolidate, and by 1966 all whiskey makers in the Republic of Ireland, including such venerable brands as Jameson, Powers, Midleton and Paddy, had merged into Irish Distillers Ltd. By 1975 Dublin ceased to make whiskey, and all distillation in the country moved to the new Midleton plant on the south end of the island. The Old Bushmills distillery in Northern Ireland was swept up into the group in 1970. 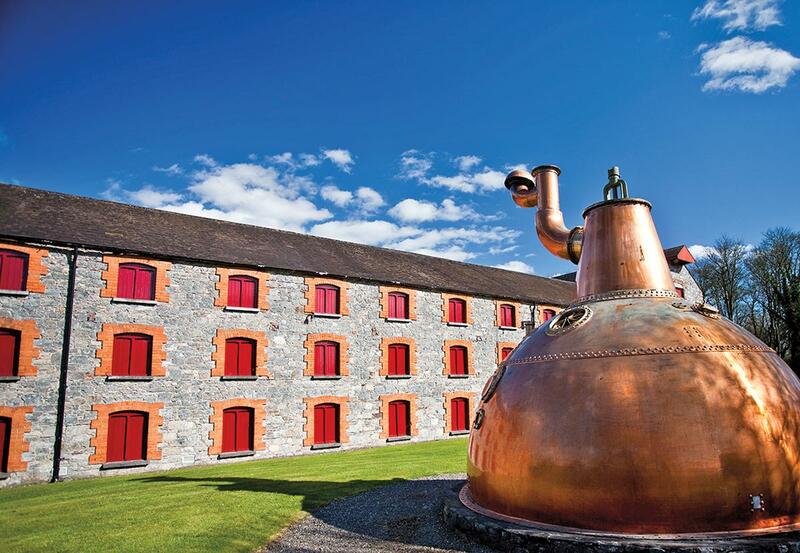 Irish Distillers was sold to France’s Pernod Ricard in 1988. Bushmills has since been sold and resold and belongs to José Cuervo. The Paddy brand now belongs to America’s Sazerac. Happily, the story improves from there. John Teeling, a seventh-generation distiller, was already converting a Schnapps distillery in County Louth, near Northern Ireland, to make whiskey and by 1987 had founded Cooley Distillery. He immediately began reviving old brands and styles, which now include single malt, single grain, blended whiskey and the peated Connemara. 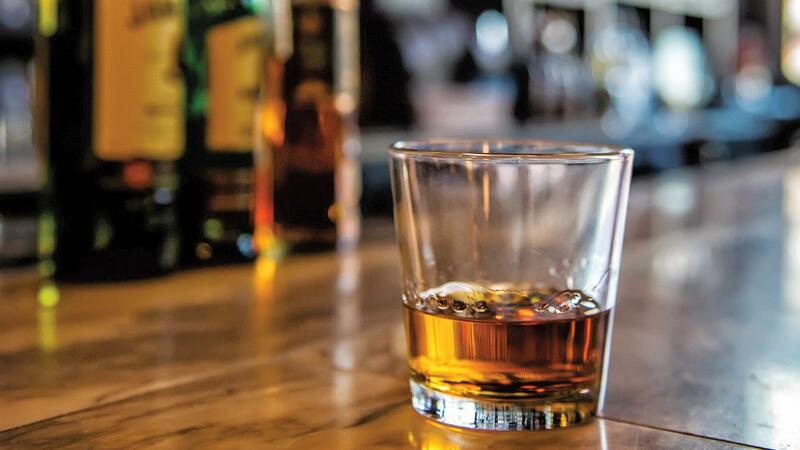 The rebounding interest in whiskey in general and the resurgence of Irish whiskey (especially Jameson) has made the United States Ireland’s most important global market, accounting for 40 percent of sales. New brands are swelling the market and at least 18 new distilleries have opened in the past five years, with a dozen more planned. Tullamore D.E.W. recently returned to its former hometown with a new distillery. 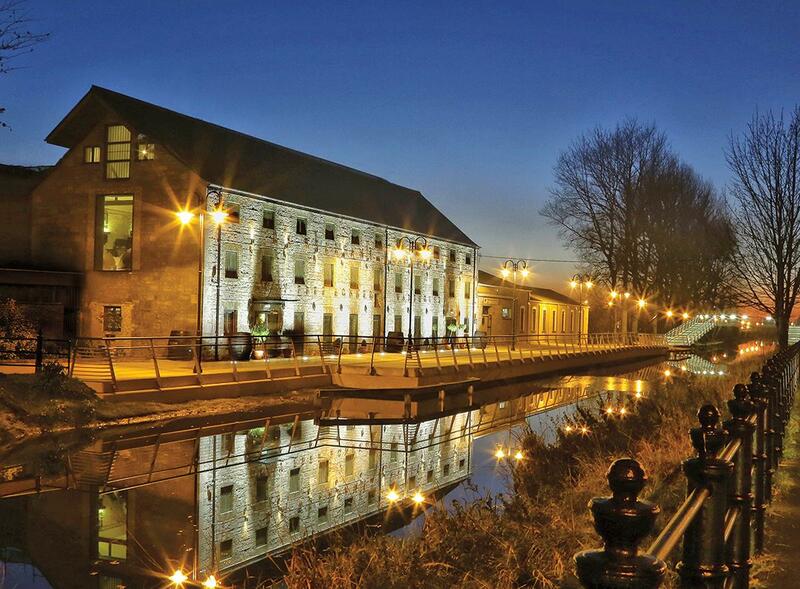 The once-shuttered Kilbeggan Distillery in County Westmeath was restored years ago and distillation has restarted. (It’s also a popular spot for tours.) In 2015, the sons of John Teeling, Jack and Stephen, returned distilling to Ireland’s capital of Dublin with their own facility on Newmarket, in the heart of Dublin’s old whiskey-making district. With the big name distillers continuing to up their game with exciting new releases, it’s a good time to get your Irish up with some of these fine whiskeys. Bushmills 16-Year-Old Single Malt (80 proof, $80) This Northern Ireland distillery makes nothing but single malt in pot stills (column-stilled grain whiskey is procured elsewhere for its blends). The 16-year-old single malt is aged in Sherry and Bourbon casks before being joined in Port wood for a number of months. The result is a beguiling mix, delicate and bold with cherry, caramel, toffee, honey and spice. Connemara Peated Single Malt Whiskey (40 proof, $55) Currently unique among Irish whiskeys for its smoky, peat flavor, Connemara still shows a range of fruit, including pear, as well as toast and licorice. 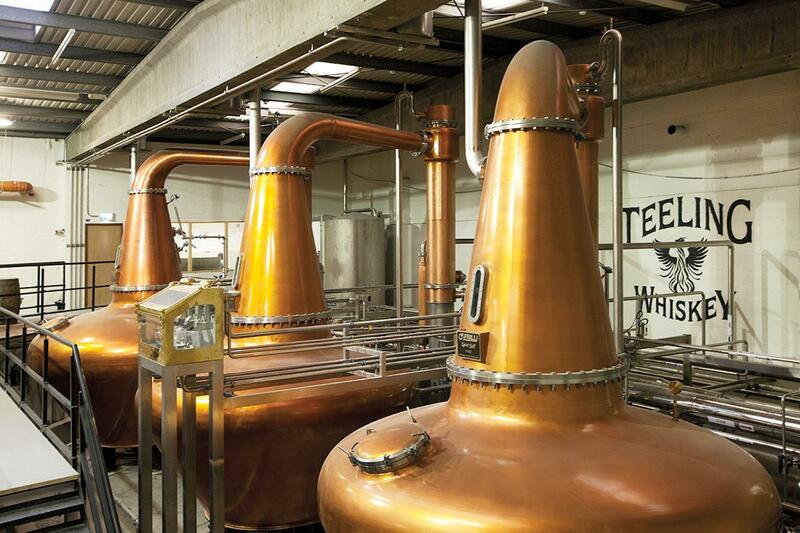 Twice pot-distilled, instead of the three times common to Ireland, it has a full body and maltiness. Jameson Blender’s Dog (86 proof, $70) The second in the Whiskey Makers Series highlights the important art of blending, especially considering the extensive stock held in the Midleton distillery that makes Jameson. Named for a tool used to draw samples, it melds different ages and styles to come up with a nuanced flavor spectrum that includes orange, lime, cocoa and banana. Kilbeggan Single Grain (86 proof, $30) Single grain refers to a whiskey made in a column still at a single location (in this case, Cooley Distillery). With a recipe that is almost exclusively corn (it’s only 6 percent barley), this Kilbeggan would normally be part of a blend. It stands on its own, however, with the expected vanilla and honey, plus some understated herbs and spice. Redbreast Aged 15 Years Single Pot Still (92 proof, $80) An example of the style of mixing malted and unmalted barley in one whiskey. Not chill-filtered, it delivers a range of notes, including berries, peaches, honey, caramel and licorice. Sexton Single Malt (80 proof, $30) A new Northern Ireland whiskey, aged on the grounds of Old Bushmills distillery, Sexton has the heady bread-dough aroma of its pot-still origin and the fruity flavors of its Sherry cask aging. A cheese note touches on the upper palate. Slane (80 proof, $30) Triple-casked, this new brand is aged in a combination of virgin, former Sherry casks and American whiskey barrels, supplied by Brown-Forman, a partner in the venture. All the touchstones of American whiskey—caramel, toffee and vanilla—are here, supplemented with soft spice and lively fruit. Tullamore D.E.W. Cider Cask Finish (80 proof, $40) Formerly only available in Ireland, the cider-cask-finish D.E.W. now comes to America, but only seasonally. A few months in an apple-cider cask produces the expected apple flavor in spades. But also there is caramel, toast, cinnamon and molasses. The Tyrconnell Single Malt 15 Year Madeira Cask Finish (92 proof, $100) Another Cooley Distillery product that revived an old brand, this recently released, limited-edition whiskey is distilled twice and finished in former Madeira wine casks after a 15-year maturation in Bourbon barrels. The first flush is buttery with the sweetness of honey, before giving way to notes of orange marmalade and tingling spices. A long finish.